Many people ask how to get their plant to bloom again next year. Our advice? Don't even try - it's not worth the effort! Why? Because this is what you'll get. It's impossible to get your plant to rebloom in those big, bright colors that come from commercial growers. 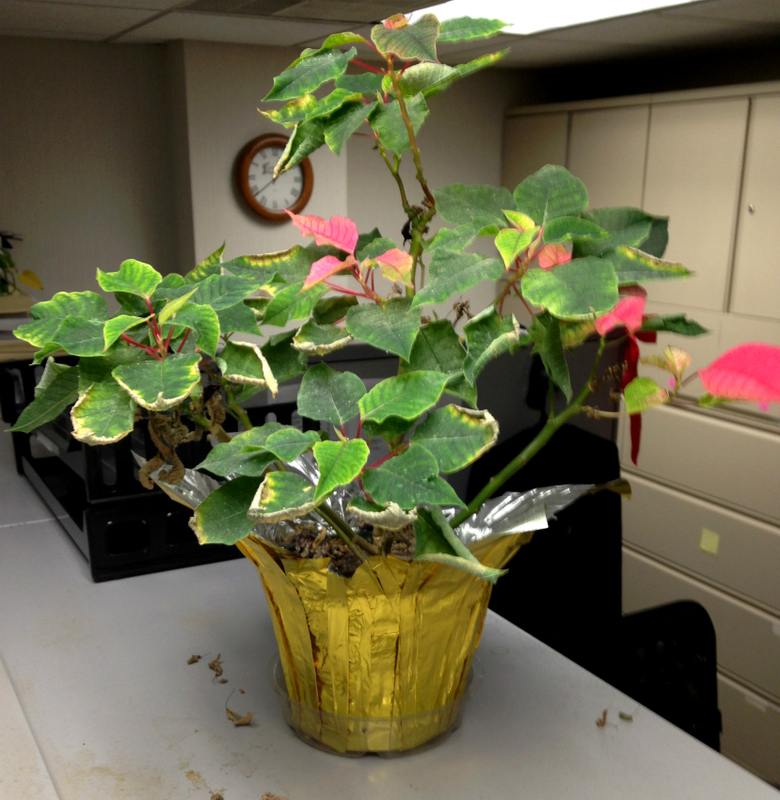 And poinsettias are a magnet for insects ... that will infect all your other plants! 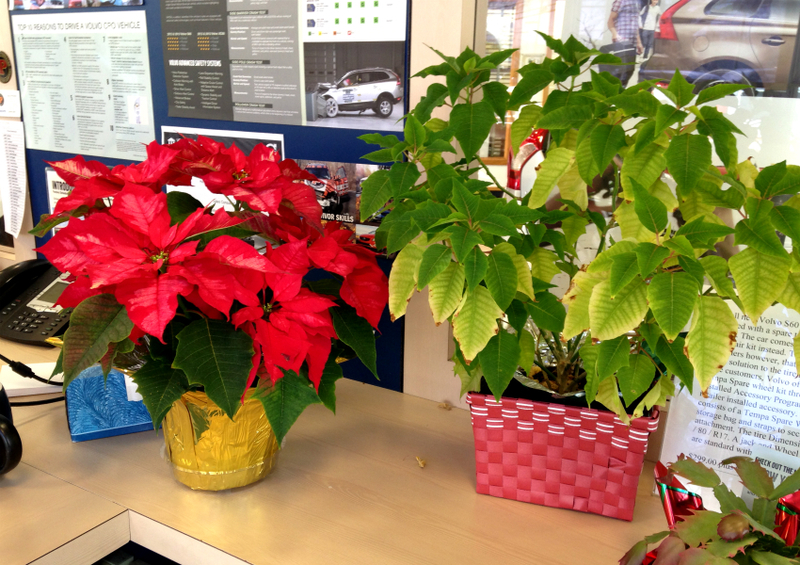 Comparing poinsettias. New plant is on left - last years plant on right (same variety). Poinsettias are grown as a holiday plant, which means they're designed to have a short life span (about 4-6 weeks). So when the holidays are over, take a deep breath and send your poinsettias to the compost bin .... don't worry, there is a plant heaven.